Looking for vegan sweeteners or just simple alternatives to honey? 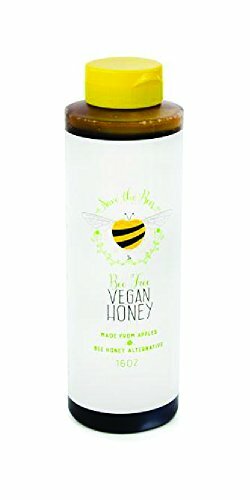 Vegan brands that make honey-specific substitutes. Other vegan liquid sweeteners you can use. Granulated vegan sweeteners you can use for baking or dissolving in sauces. Guilt-free sweeteners made from 100% whole foods. What About Artificial Sweeteners? Are They Vegan? Click any of the sweeteners below to learn more about them. There are several products that have been created specifically for the purpose of replacing honey. While we think the other liquid sweeteners listed above can work just as well, if you really want to match the flavor of honey, these are definitely worth checking out. Designed to work without having to modify any recipes, Bee Free Honee works as a 1 to 1 replacement for regular honey. It's made with three simple ingredients: apple juice, cane sugar, and lemon juice. Flavor-wise, it tastes quite similar to real honey, but has some mild notes of apple. Being that it is apple juice based, Blenditup Vegan Honey has a similar ingredient list as Bee Free Honee. It can also be used as a 1 to 1 replacement in any recipe. The ingredients read: Apple Juice Concentrate, Water, Vegan Cane Sugar, Lemon Juice. As you might imagine, it has a similar flavor profile to the first option. Whichever you like better will come down to your personal preference, but we don't think you'll be dissatisfied with either one! Nature's Hollow Honey Substitute is a bit different than the other two products. Firstly, it is sugar-free. It's sweetened with xylitol (we cover this later) and "natural honey flavor". We've personally reached out to the manufacturer and confirmed that is is 100% vegan. It's great for diabetics and does a pretty good job matching the flavor of honey, although the texture is slightly different. Below is a list of vegan liquid sweeteners. Any of these products can technically be used to replace honey, if you didn't want to use any of honey specific substitutes. We’ve also made specific application recommendations for these sweeteners, but cooking is as much an art as it is a science. There’s no hard and fast rules! Maple syrup is a vegan liquid sweetener that is extracted from maple trees. It’s commonly eaten on breakfast foods such as waffles and pancakes, but actually makes a delicious sweetener for almost anything! It has a deep, rich, and complex flavor that's completely unique. It doesn’t dissolve as well as some other liquid sweeteners, but a quick pulse in a blender and/or some heat should get the job done if you're having trouble. Agave syrup or nectar is a relatively thin vegan sweetener that’s produced from the agave plant. It comes in several different varieties which have slightly different uses. The varieties range from light to dark, with the lighter syrups being more mild and neutral. With the darker varieties, you’ll notice more complex caramel-type notes. It tends to be easy to dissolve, which means it works well in coffee, tea, or other beverages. Both Molasses and Black Strap Molasses are fantastic vegan options to use as sweeteners. You may also see it referred to as “black treacle”. It’s made by boiling sugar cane down to a syrup and then extracting the sugar crystals. After the sugar crystals have been removed, the dark liquid that’s remaining is known as molasses. The Black Strap variety is derived from the third round of this process and thus is the most concentrated form of molasses. Besides from using sugarcane, it can also be made from other plants including dates, sorghum, and beet juice. However, these practices are much less common and most varieties you'll buy will be made from sugarcane. With the exception of the whole-fruit sweeteners below, molasses actually has some antioxidant power making it a healthier sweetener. Golden Syrup, synonymous with the Lyle’s brand, is another vegan liquid sweetener that is made from inverted sugar. Inverted sugar is made by heating sugar, water, and typically some form of acid such as lemon juice. By doing this, the sucrose molecule is split into its two more basic components: glucose and fructose. The result is a viscous and pourable liquid that you may notice on labels as “invert syrup”. This is done enzymatically sometimes for commercial production, but the end result is the same. Yacon syrup is yet another vegan-friendly sweetener that’s made from the yacon root vegetable. It’s a darker-colored syrup and some people liken the flavor to that of a super dark, or even slightly burnt, molasses. It tends to be marketed (falsely) as a weight loss supplement, but realistically it’s just a low calorie sweetener. It’s supposed to have some fiber in it (we couldn’t find any on the label), but if you’re going for health or weight loss, you should be relying on whole plant foods and not syrups or supplements. Brown rice syrup dark vegan liquid sweetener that you may have seen on some snack foods. It is made by enzymatically breaking down cooked rice starch and then evaporating excess liquid to create a viscous consistency. The enzymes used in the process typically come from barley, fungus, or bacteria. You may also see this product labeled as maltose syrup, but don’t worry - it’s still vegan! Stevia Drops or Sweet Drops is concentrated liquid stevia which is sold flavored or unflavored in small little bottles. Some of the products out there are so concentrated that the bottles even come with droppers to ensure that you don’t over-sweeten anything. They are typically zero calories. We think that they taste the best when they are used in addition to sugar. Using them synergistically creates optimal sweetness while allowing you to drastically cut down on the amount of calories. Sometimes liquid sweeteners just don't cut it. If a recipe calls for one cup of sugar, it might be difficult to figure out the ratio of how much of a liquid sweetener you'd have to use. Additionally, sometimes you don't want to add extra moisture to a recipe which is why granulated and powdered sweeteners come in handy. Coconut sugar is a granulated and minimally processed vegan sweetener which is produced from the coconut palm. It’s not overly sweet and contains some complex and darker flavor notes. It has the look and feel of brown sugar and if you were to put them side by side it would be hard to tell the difference. When it comes to taste, coconut sugar is darker and more complex than white sugar with hints of caramel and molasses. Applications: Any application where a sweetener is called for. There’s very little difference between beet sugar and cane sugar when it comes to their applications and nutritional properties. They both act as the table sugar that we’re used to in most recipes and that many people put into coffee and tea. The key thing about beet sugar is that it is always 100% vegan and not processed with animal products. If you’re buying a bag of plain sugar at the grocery store, getting beet sugar is the more ethical option. Cane sugar, or sugar extracted from the sugarcane plant, isn’t always vegan. Now, we wouldn’t recommend that you over-analyze every packaged food that has sugar in it, but it’s something to be mindful of if you’re buying new bag of sugar at the grocery store. Conventional cane sugar can sometimes be processed with bone char from animals, but the organic variety isn’t. Conventional cane sugar isn’t likely something that greatly contributes to animal suffering, but a small point to be aware of if you’re shopping for bulk sugar. Read also: Is Sugar Vegan? Because brown sugar is table sugar mixed with molasses, it’s not always 100% vegan. The cane sugar that’s mixed the molasses may have been processed with bone char. But just as with conventional cane sugar, the solution is simple: go with the organic variety to be sure that you’re avoiding bone char. Recently making its way to the US and Europe, stevia is a natural vegan sweetener that has been used for many years in Japan. Many people actually don’t like the taste of stevia and find the aftertaste bitter tasting or even hard to describe. However, from personal experience, granulated stevia is much better used synergistically with another sweetener, especially regular sugar. In other words, if you cut your sugar and slowly add stevia to taste, you’ll be able to cut the caloric load from sugar in half (if not more). You also won't notice that bitter stevia aftertaste that many people don't like. This works especially well in baking. To make recipes even healthier, you can use whole food sweeteners alongside stevia as well. Applications: Can work in almost any application, but tastes best when used synergistically with other sweeteners. Monk fruit extract is a vegan sweetener extracted from the monk fruit (as you may have guessed). Gram for gram it’s up to 200 times sweeter than regular sugar, so you don’t have to use very much. The amount that you would use to sweeten something doesn’t contain any calories, which puts it in the same category as stevia as a zero calorie natural sweetener. The taste is hard to describe, but it definitely has some fruity notes along with some flavors that feel artificial (but aren’t). If you haven’t tried it for yourself, it’s worth a shot. From our experience, it isn’t as polarizing as stevia which some people absolutely hate. Xylitol is another vegan sweetener that’s extracted from corn cobs and other fibrous plants. It’s mainly found in gum and other commercially-made hard candies, but it can also be purchased and used in your household. Contrary to table sugar, xylitol actually comes along with some dental benefits by discouraging bacterial production and allowing the mouth to maintain a neutral pH level. Recipes with xyltiol aren’t all that common, but this vegan chocolate pudding is definitely worth a shot. Dates are simply dried fruits with no other ingredients making them 100% vegan and a great sweetener. There are several different varieties of dates, but medjool dates are by far the best for any sort of baking or cooking application. The one downside is that really high quality dates will require you to manually remove the pit, so if you’re using a lot of them it can be more time consuming than simply pouring in a syrup. We like to blend them with a bit of mustard and water to create a "vegan honey mustard"! Prunes are dried versions of plums with no other added ingredients (besides some preservatives in some cases). Believe it or not, they can be blended or processed into baked goods or syrups as a sweetener, similar to dates. A bunch of prunes on a wooden spoon. It’s not very common, but we’ve tried it for our black bean brownies and it works great! It won’t be a 1:1 substitute, but if you add enough it will be just as sweet. Learn more about dates and prunes. As far as sweeteners go, it is our position that date sugar is one of the healthiest on the list! The reason for this is because date sugar is actually a whole food. They’re ground and powdered dates that have been transformed to the consistency of granulated sugar. 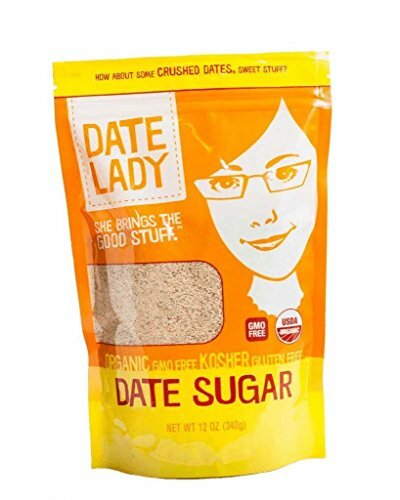 If you want to test it out for youself, Date Lady is a great brand to keep stocked in your pantry. Some brands have other additives in them, so we recommend looking for single ingredient date sugars such as the one linked above. Date syrup is available in commercial bottles, but also really easy to make yourself. The recipe for date syrup is two ingredients: dates and water. Some recipes and products may have other things in them, such as lemon or other flavors. You can even flavor it yourself with some vanilla or almond extract. As another whole-food based option, date syrup made it to our healthiest sweetener list. Because it is only two ingredients, date syrup is rather easy to make. If you're curious, the short video above will show you how! 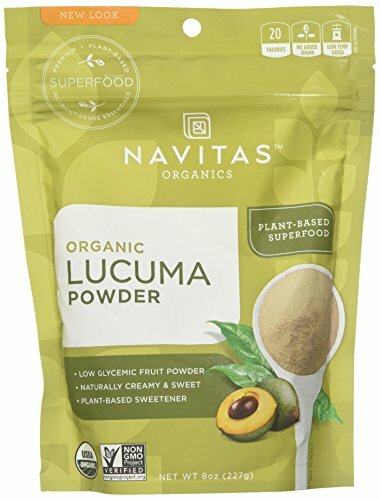 Lucuma powder is a rarely known powdered vegan sweetener made from the lucuma fruit native to South America. It’s a whole food sweetener as the fruit is dried out and then milled into a powder. It’s said to be lower on the glycemic index than table sugar and it also retains the nutrients found in the whole fruit. If you want to try it for yourself, Nativas is a good brand to check out. The flavor notes can be described to be somewhere between caramel, maple, and sweet potato. All aspartame (Equal, Sweet n’ Low) and sucralose (Splenda) based sweeteners are vegan from an ingredient standpoint. However, the controversy with them comes from whether or not the companies who’ve made them have tested on animals to create these products themselves or on other products. For example, this horrible story on splenda and beagles is one that made us really sad. However, it is important to understand that it’s going to be nearly impossible to live your life without transacting with a person or company that has caused animal suffering in the past. This is the case no matter how dedicated to veganism you are. In our opinion, the best way to approach veganism is to give up products that require animal suffering to be created (milk, meat, dairy, eggs, fish, etc.) and encourage your friends and family to do the same. Rather than concerning yourself with artificial sweeteners, it’s probably best to learn to make some really awesome vegan recipes to show your friends and family how easy the lifestyle truly is!